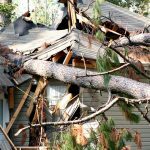 | Comments Off on Why a Public Adjuster? Public Adjusters will typically be more complete in their damage analysis than their insurance company counterparts, or the inexperienced policyholder on his or her own because they are trained for it. 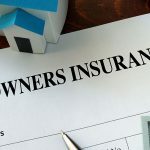 They provide a comprehensive, personalized service representing the insured’s interest, receiving no compensation until the policyholders are compensated from their insurance company. Comparatively, the insurance company adjusters guiding motivation is to minimize the insurance companies exposure by paying as little as possible or denying the claim entirely. 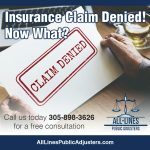 As stated in one of our previous articles “What you don’t know can hurt you”, meaning without completely understanding your policy or determining an accurate assessment of your damages, you , the policyholder are at a distinct disadvantage when navigating the claims process without representation by a Public Adjuster. You can view an array of informative articles by visiting our website or visit us on facebook at ALL-LINES public Adjusters. If you find this article informative , please share!